2017+ Chrysler Pacifica Minivan Forums > 2017+ Chrysler Pacifica Ownership Lounge Area > What Did You Do To Your Chrysler Pacifica Today? > Got a case for my Fob. 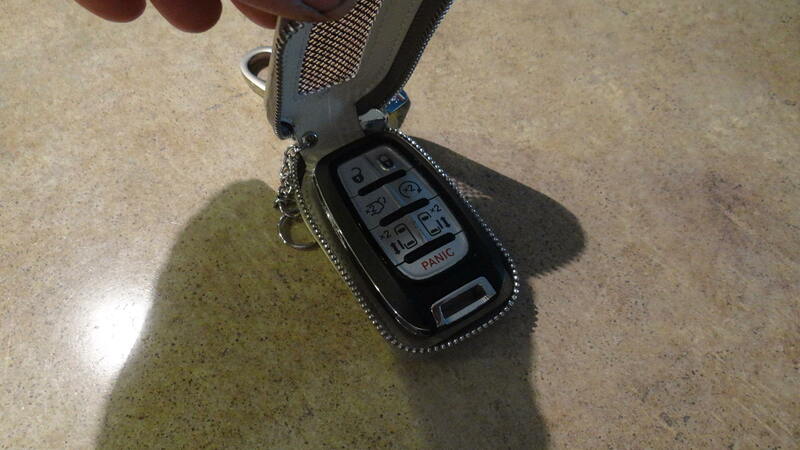 My PacHy key FOB is showing some marks now and I had an accidental button push or two already. So, went shopping.. oddly, I didn't find any OEM or aftermarket FOB cases out there? 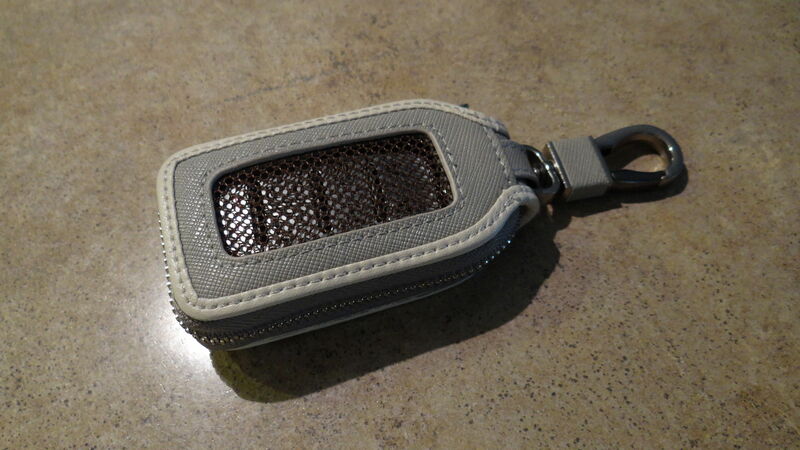 But the FOB size is the same as some of BMW's keys so I picked up a nice leather FOB holder. Its not perfect, the mounting stud is too thick to install through the key itself and needed a small keyring to adapt it. But feels nice and solves my issues. Wish it didnt say BMW, but who cares. Last edited by m0ebius604; 06-12-2018 at 04:32 PM. Nice ! I found these on Amazon, works good as you can use all buttons while still inside. 2 3/16" by 3 3/4"? Yes, but only the small print edition. Cisco Arris and GalPal like this. I found this one that seems like a better fit. These universals zip the fob inside something. This BMW one just slips out for easy access. It would be a **** of a squeeze ! spreketek, Cisco Arris and Maybe_Wayb like this. ^^ Nice! How do you like it? Can you use the buttons without taking it out?